The attached file is a copy of the lab safety contract. It must be reviewed, understood, and signed by both the 5th grade science students and one of his/her parents/guardians before the student will be allowed to participate in any science lab activities. Since the mastodon matrix research begins on Wednesday, it needs to be on file at Bobcat Labs (Room 514) by that date. Most of the students completed this assignment in class today. However, there were a number of students who stated that they did not have a notebook or that they had left it at home. For those students, this is their homework assignment. 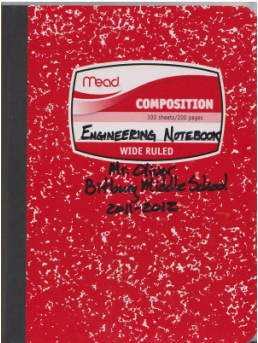 Write "Science Notebook", your name, BMS, and 2011-2012 on the cover. 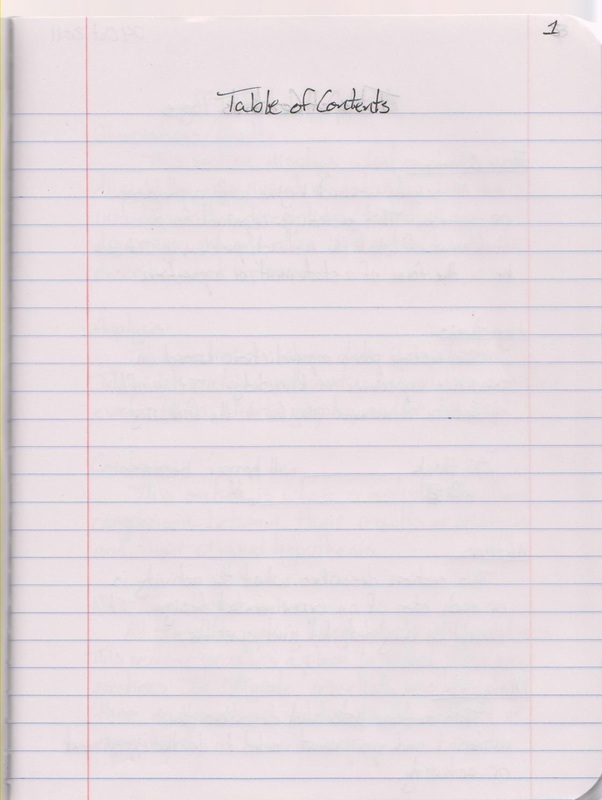 Designate three pages at the beginning as "Table of Contents"
Students must locate and record 4 non-Internet sources of information about mastodons. 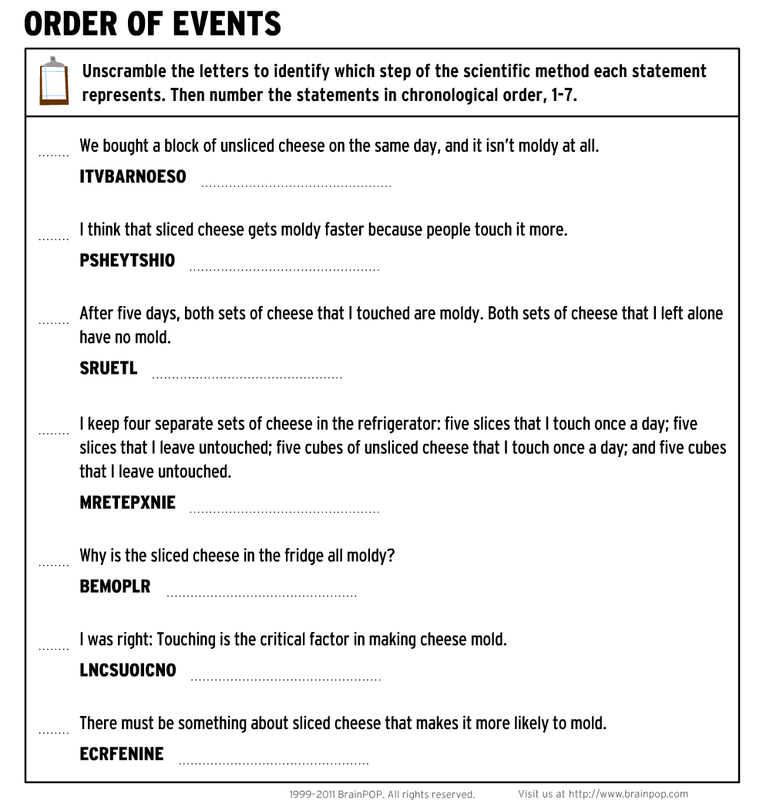 This assignment is to help students recognize ways that they can find information without immediately turning to the Internet for the raw information. Here are some helpful hints and examples of what is expected. Even though students cannot cite websites as a source, they still can use online resources to locate physical sources. For example, the Spangdahlem Base Library Online Catalog could be used to locate texts that they have available. I have placed links to the local and schoollibraries in the Lab Links page of this website. Use keywords such as "mastodon", "paleontology," "Pleistocene," or "fossils" to locate potential sources. Encyclopedias, dictionaries and other references can be used used as a source. Bosworth, Alan. 2010. Prehistoric Detective and Adventurer. Assignments can be emailed or printed out. 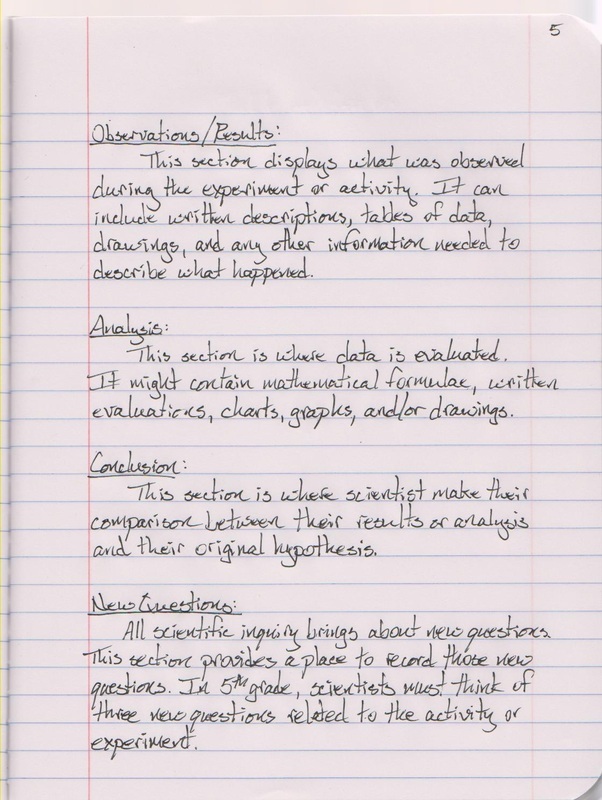 The assignment is to complete the two worksheets (actually two sides of a single page) about the scientific method. Both are worksheets downloaded from BrainPOP. One is a combination word scramble puzzle and sorting puzzle. 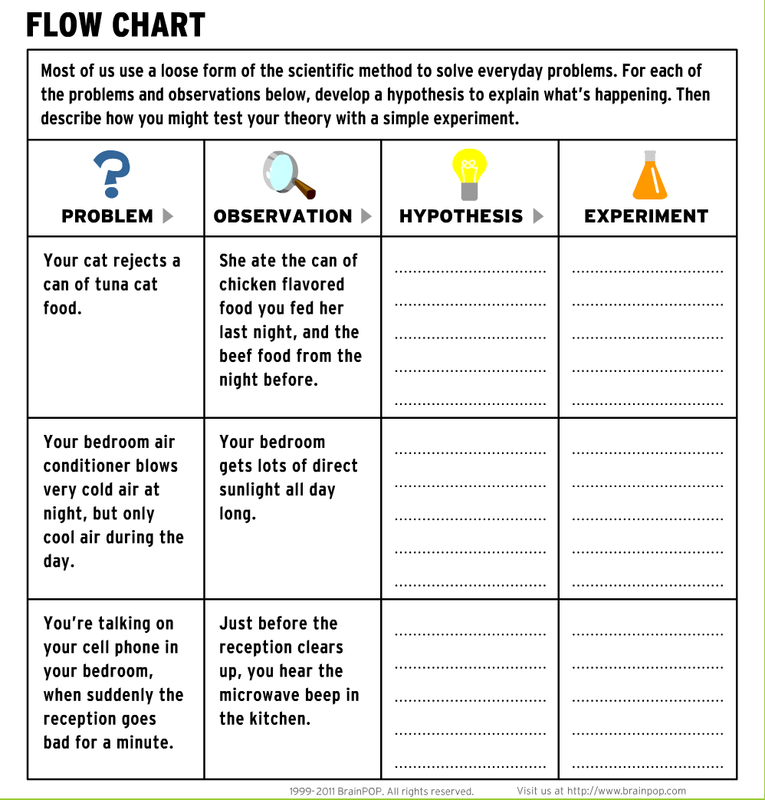 The other is a flow chart-style activity, where the students are given three situations where they must develop hypotheses (plural of hypothesis) and write about a way that those hypotheses could be tested. The following files are copies of the worksheets, if they are needed. 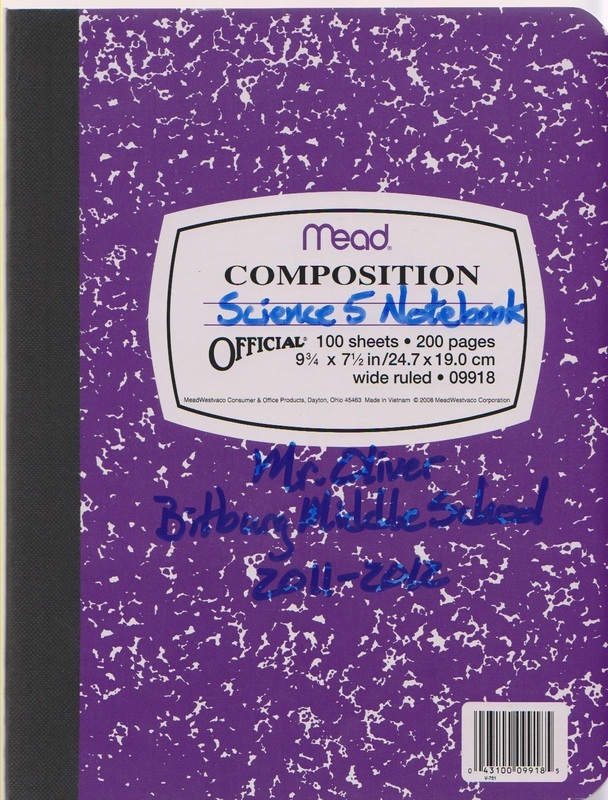 Everyone is Science 5 will maintain a laboratory notebook throughoutthe school year. 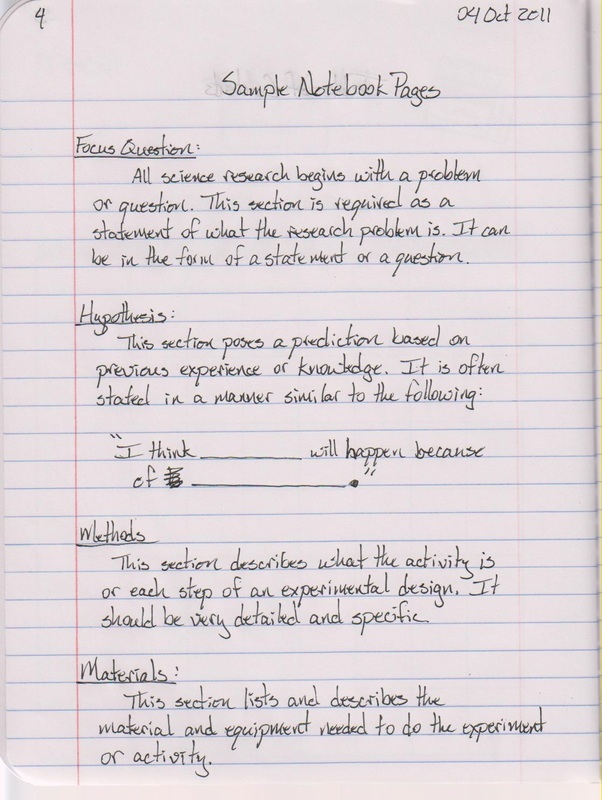 My personal recommendation is for using a composition book as shown in the picture. However, spiral bound notebooks are acceptable, as well. Assignment: Draw and color a picture of a scientist. Note: assignments done on lined paper will not be accepted. Suggestion: Fil the entire page with your picture.